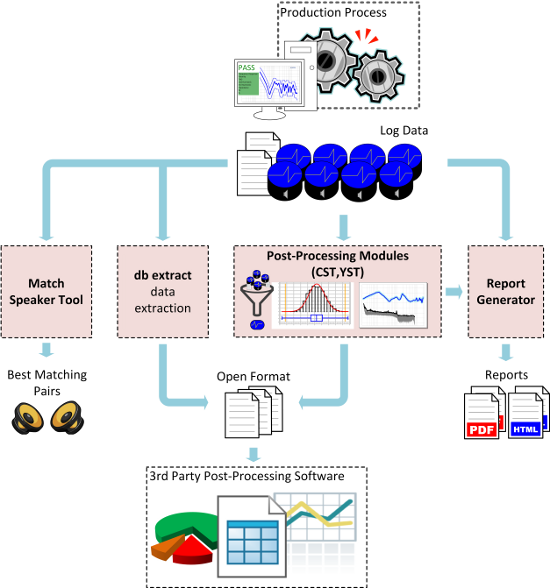 The possibility of data extraction and conversion to an non-proprietary format is self-evident for providing an open interface for 3rd party post-processing software. The free program extracts selected results to plain text files with a customizable output format. Provided CAL filters may be used to customize the data conversion or to use add-on modules (e.g. Curve Statistics) as post-processing filters. A custom filter may be implemented by owners of the MAT module license. Interfacing db extract via command line provides flexible and powerful possibilities for automated runs (e.g. triggered after a QC session or via the Windows Task Scheduler). 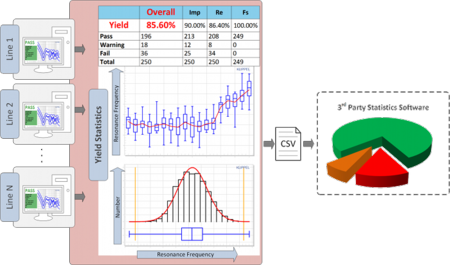 Yield Statistics provides an overview of production with one or multiple lines by calculating the yield and single value statistics. Distribution and time course plots further support the statistical diagnostics. The automatic filtering of outliers is beneficial for quickly generating meaningful graphical representations. A clear tabular and graphical summary combined with available filters (date, time, operator, serial number) is the basis for automated statistical reports. The customizable integration into the QC Software allows fast access with only one mouse click. Optional CSV export provides an open interface to 3rd party statistical software. Keeping track of large result data from production is a difficult task. The Curve Statistics offers statistical analysis of bulk curves by visualizing mean, extremes and factorized standard deviation. Flexible filtering (manual or automatic) can be used to highlight DUTs or to remove outliers from the data pool. A normalized curve visualizes the deviation of the data pool from the mean or an imported reference curve. New limits, based on the mean or the imported reference curve, may be calculated. 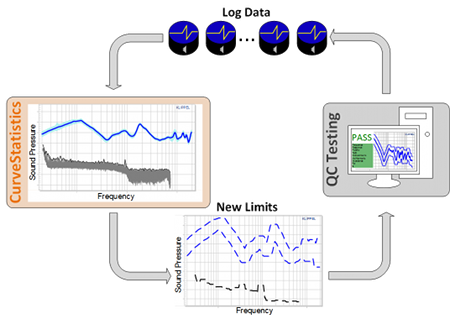 The statistical data or the calculated limits can be exported for the use in end-of-line testing. The Golden Unit detection reveals the best representatives of the mean of the data.